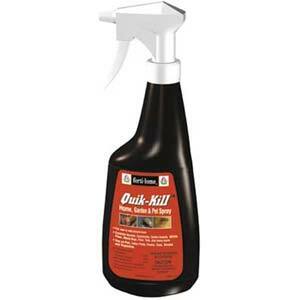 Quik Kill RTU is a ready-to-use insecticide for controlling fleas, ticks, ants, roaches and many others. 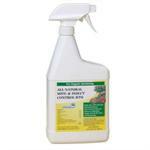 Can be used on fruits,vegetables, shade trees, roses and ornamentals. It is also safe to use on dogs, cats, and horses to control fleas and ticks. 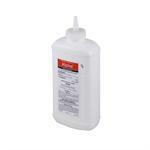 Quik Kill RTU can also be applied around stagnant pool and pond areas to control mosquito populations.